World War IV has ravaged Earth, and its survivors must battle for food, shelter and companionship in a post-atomic wasteland. 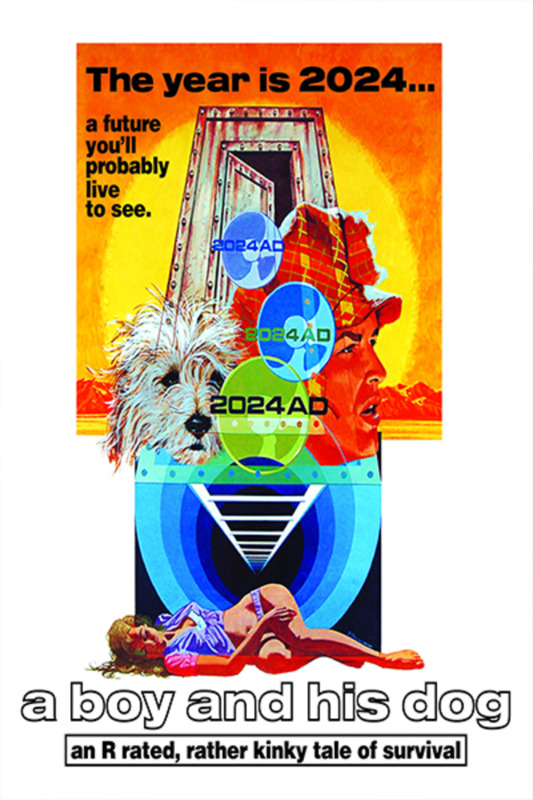 This classic sci-fi tale follows the exploits of a young man, Vic (Don Johnson), and his telepathic dog, Blood, as they struggle through the barren wilderness. In the midst of their meager existence, foraging for scraps of food and battling ruthless gangs, Vic and Blood encounter a young woman who lures them into a surreal city deep beneath the earth’s surface. A perfect movie. Source material for about every post apocalyptic media to come after it. Read the book. If Mad Max met Bioshock, you'd get this movie. What a gem. This was the most fun I had watching a movie in awhile! I like the interesting turn it took and the ending was memorable too. Definitely can see how the Fallout games must’ve got inspiration from this. Leave your third wave feminism behind and enjoy this classic 44 year old movie that gave birth to other post apocalyptic treasures. Terrific camp, too bad about the misogyny.